Let's not pretend: The Koran hates Jews and Christians, unless they convert to Islam. Not long ago, Ms. Rebecca Abrahamson provided a brief report about the Knesset conference titled "Building a Culture of Peace in the Middle East and the Global Arena" (OpEd: Putting UN resolutions to work). In this report she mentioned a book titled Bigotry, the Dark Danger, by Adnan Oktar, which had been presented at this conference, and which she believed would make a significant contribution to building this “Culture of Peace.” Abrahamson wrote that this book "goes right to the sources in rebutting those who manipulate the Qur’an and hadith, taking them out of context to malign Jews." 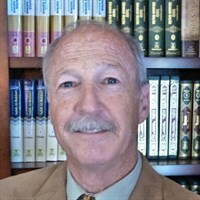 In my last article, titled Fantasy Islam comes to the Knesset, I looked at how Oktar’s book addressed hadiths supposedly fabricated to malign Jews; and we found that his main criterion for determining whether or not a fabrication had occurred flew in the face of commands of Allah in the Koran, of statements by his prophet Mohammad, and of a general consensus among Muslim scholars for over one thousand years. In this article, I look at how Oktar addressed Koran verses supposedly manipulated to malign Jews. As we shall see, there has been manipulation of Koran verses, but it has been done by Oktar. Koran Verses Praise Jews and Christians? Throughout his book Adnan Oktar repeatedly pointed out that the Koran praises Jews and Christians (the People of the Book). On pp. 380-381 Oktar presented Koran verses to support this claim: 2:62; 3:113-115; 3:199; 4:162; 5:69; 7:159; and 28:52-53. Let’s look at these verses and ask two questions: Do these verses really praise Jews and Christians, and if so, why? In a previous article I had written about Oktar, I showed that the praise of Jews and Christians in 2:62 and 5:69 pertained only to good deeds done before the advent of Islam, and that after the advent of Islam the Jews and Christians were required to believe in Islam in order to be rewarded. In that same article I showed that, with regard to 7:159, those “who guide by the truth and act justly in accordance with it” are in fact those Jews who had converted to Islam. It is interesting to note that in Bigotry, the Dark Danger, Oktar referred to these converts mentioned in 7:159 as “righteous Jews” (p. 353). In an earlier Arutz Sheva 7 article, I showed that in 3:113 the “community among the People of the Book who are upright” were in fact those Jews and Christians who had converted to Islam. Among the people of the Book there are some who have faith in God and in what has been sent down to you and what was sent down to them, and who are humble before God. They do not sell God's signs for a paltry price. Such people will have their reward with their Lord. And God is swift at reckoning. What do our authoritative Koran commentaries (tafsirs) have to say about this verse? The Tafsir Ibn Kathir explains that this verse is about the Jews and Christians who converted to Islam. This same explanation is given in the Tafsir Al-Jalalayn, Tafsir Ahsanul-Bayan, and the Tafsir As-Sa’di. But those of them [the Jews] who are firmly rooted in knowledge, and the believers, have faith in what has been sent down to you and what was sent down before you: those who perform their prayers and pay alms, and have faith in God and the Last Day – We will pay such people an immense wage. But as before, this verse is referring to Jews who converted to Islam. And once again, this verse refers to Jews and Christians who converted to Islam. So, because of their breach of their covenant, We cursed them and made their hearts grow hard. They change the words from their (right) places and have abandoned a good part of the Message that was sent to them. And you will not cease to discover deceit in them, except a few of them. But forgive them and overlook (their misdeeds). Verily, Allah loves Al-Muhsinun (good doers). The rest of the story is that the tribe of Israel violated their covenant with “God” and tampered with the Torah. Consequently, “God” cursed them and made their hearts grow hard. And “God” proclaimed that, except for a few, deceit will always be found with the Jews. And who are those exceptional few? They are the Jews who converted to Islam. If only they had implemented the Torah and the Gospel and what was sent down to them from their Lord, they would have been fed from above their heads and beneath their feet. Among them there is a moderate group but what most of them do is evil. Our tafsirs confirm that this is a criticism of Jews and Christians for not following the teachings in the Torah and the Bible. But what were those teachings that they ignored? Those teachings supposedly foretold the coming of Muhammad and the Koran. And, according to this verse, had the Jews and Christians followed those teachings, instead of altering their Books, those Christians and Jews would have believed in Muhammad and the Koran, and would have become Muslims. The fact that they did not become Muslims shows that they did not follow those supposed teachings of the Torah and the Bible. And the “moderate group” that doesn’t do evil? They are the Jews and Christians who converted to Islam. So with these verses we find that the only way for Jews and Christians to earn praise in the Koran was by converting to Islam. O you who believe! Take not the Jews and the Christians as Auliya' (friends, protectors, helpers), they are but Auliya' of each other. And if any amongst you takes them as Auliya', then surely, he is one of them. Verily, Allah guides not those people who are the Zalimun (polytheists and wrongdoers and unjust). So according to Oktar, this verse forbids Muslims from coming under the rule and management of Jews and Christians. But how has this verse been historically understood? Allah forbids His believing servants from having Jews and Christians as friends, because they are the enemies of Islam and its people, may Allah curse them. Allah then states that they are friends of each other and He gives a warning threat to those who do this, And if any among you befriends them, then surely he is one of them. The Tafsir Al-Jalalayn explained that this verse meant Muslims were not to join Jews and Christians "in mutual friendship and love," or "in their unbelief." Allah, while describing to His believing servants the ignorant condition and unethical demeanor of the Jews and the Christians, orders them to not maintain alliance with them. This is because the Christians and the Jews aid one another and are united in their opposition of others. You should not make them your allies; rather, they are your enemies and they care not the least concerning your loss; they will leave no stone unturned to misguide you. Only a person who is like them will make alliance with them. The verse forbids Muslims to keep intimate relations with them and take them as protectors and helpers, because they are the enemies of Allah, the Muslims, and Islam. It should be noted that those who take them as protectors and helpers will be considered among them. Whether Auliya' means friends, protectors, helpers, or rulers, Muslims are forbidden by Allah to have such relationships with Jews and Christians, because this verse is understood to mean that Allah has declared Jews and Christians to be the enemies of Muslims. Throughout his book Oktar repeatedly wrote about the peace, respect and love that “true Islam” would bring to relations between Muslims and the People of the Book. He quoted Koran verses and events from the life of Muhammad that could provide the basis for that relationship. Let’s look at a few of his examples. If we are to believe Oktar then, the Koran is respecting and loving Jews by declaring that they are among the worst enemies of the Muslims. One of the wives of our Prophet (pbuh) was Marya bint Sham'ûn (also known as Maryam al Qubtiyyah), a Coptic Christian from Egypt. But Marya was not even a wife of Muhammad. She was a Coptic Christian given as a slave to Muhammad. She bore Muhammad a son named Ibrahim, who died as a young child. Our mother Safiyya bint Huyayy, one of the wives of the Prophet (pbuh), was the daughter of the chief of the Jewish tribe Banu Nadir of Medina, Huyayy ibn Akhtab. Safiyya was among the captives taken when the Muslims conquered Khaybar in May 628; her father was killed during the battle. Muhammad bought her from another Muslim warrior for the price of seven slaves. Muhammad married her after ordering the torture and beheading of her husband, Kinanah b. al-Rabi'. If a Jew or a Christian becomes a Muslim he is a believer with his rights and obligations. He who holds fast to his religion, Jew or Christian, is not to be turned from it. He must pay the poll tax [Jizyah]– for every adult, male or female, free or slave, one full dinar calculated on the valuation of Ma’afir or its equivalent in clothes. He who pays that to God’s apostle has the guarantee of God and His apostle, and he who withholds it is the enemy of God and His apostle. Oktar used these three examples, among others, to show how relations should be between Muslims and the People of the Book. But in these examples we find Christian and Jewish female slaves owned by Muhammad, and Muhammad’s command that Jews and Christians can hold fast to their faith only if they pay the Jizyah; otherwise they become the enemies of Allah and Muhammad. There are two things in particular we learned in this article: 1) Koran verses that Oktar claimed indicated praise for Jews and Christians in general actually praised only Jews and Christians who had converted to Islam; and 2) Oktar’s examples of ideal relations between Muslims and the People of the Book were examples of Jewish and Christian subservience to Muhammad and to Islam. …the world can never be without Islam. The peace and love for which the world longs can only come through Islam. We have the Qur'an, the true and immutable Book of Islam for that; the only thing needing to be done is to educate people with the Qur'an. 9:29 is simply a codification of Muhammad’s command to the King of Himyar. 9:30 states that Allah curses Jews and Christians. The significance of these verses is twofold. They were among those “revealed” in late 630 AD and early 631 AD, and their message was directed toward all non-Muslims. Chapter 9 of the Koran was the last chapter to be “revealed” to Muhammad, so the commands found in Chapter 9 were Allah’s final, timeless instructions to Muslims on how to deal with non-Muslims. The reality is that certain hadiths and Koran verses do malign Jews and Christians, except for when they are being manipulated for presentation at a Knesset conference. Tafsir Ibn Kathir (Abridged), trans. Jalal Abualrub, et al. (Riyadh, Kingdom of Saudi Arabia: Darussalam, 2000), Vol. 2, pp. 357-360. Tafsir Al-Jalalayn, trans. Aisha Bewley (London: Dar Al Taqwa Ltd., 2007), p. 172. Tafsir Ahsanul-Bayan, trans. Mohammad Kamal Myshkat (Riyadh, Kingdom of Saudi Arabia: Darussalam, 2010), Vol. 1, p. 413. Tafsir As-Sa’di, trans. S. Abd al-Hamid (Floral Park, New York: Islamic Literary Foundation: 2012), Vol. 1, pp. 320-321. Tafsir Ibn Kathir, Vol. 3, p. 46; Tafsir Al-Jalalayn, p. 228; Tafsir Ahsanul-Bayan, Vol. 1, pp. 551-552; and Tafsir As-Sa’di, Vol. 1, p. 458. Tafsir Ibn Kathir, Vol. 7, pp. 420-422; Tafsir Al-Jalalayn, p. 841; and Tafsir Ahsanul-Bayan, Vol. 4, pp. 205-206. Tafsir Ibn Kathir, Vol. 3, pp. 126-130; Tafsir Al-Jalalayn, p. 241; Tafsir Ahsanul-Bayan, Vol. 1, pp. 580-582; and Tafsir As-Sa’di, Vol. 1, pp. 487-489. Tafsir Ibn Kathir, Vol. 3, pp. 225-226; Tafsir Al-Jalalayn, p. 260; Tafsir Ahsanul-Bayan, Vol. 1, pp. 629-630; and Tafsir As-Sa’di, Vol. 1, p. 521. Tafsir Ibn Kathir, Vol. 3, p. 204. Tafsir as-Sa’di, Vol. 1, p. 512. Tafsir Ahsanul-Bayan, Vol. 1, p. 616. Muhammad Ibn Ishaq, The Life of Muhammad (Sirat Rasul Allah), trans. Alfred Guillaume (Karachi: Oxford University Press, 2007), p. 643. The Life of Muhammad, pp. 617-620; Tafsir Ibn Kathir, Vol. 4, pp. 370-376, and 404-410; and Abu Ja'far Muhammad b. Jarir al-Tabari, The History of al-Tabari: The Last Years of the Prophet, trans. and annotated Ismail K. Poonawala (Albany, New York: State University of New York Press, 1990), pp. 77-79.